Following my review of the charming and perfectly chaotic "Overcooked! ", I've been having a lot of conversations in the shop and with friends about couch co-op games. It's definitely been established that there's been a lot less titles focused on this type of social gaming over the years, with the markets leaning more towards online capabilities. Don't get me wrong, I'm happy to see online capabilities so strong, in fact Xbox Live was a saving grace of my high school gaming life, where if I wasn't at school or working I was content to wind down every night with my friends online. However, as I established in my last post, there's a distinct difference between social gaming online and in person, therefore, with the help of some LAN Mob regulars, employees and friends, I decided to make this list! 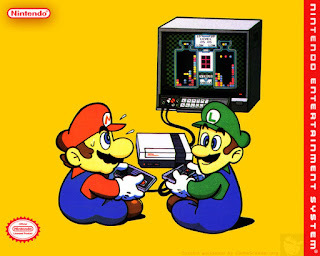 I'm going to list some of the best couch co-op games to have ever graced a living room from all sorts of generations, from RPGs to arcade style games. Let's get started! Overcooked! is perfect in so many ways that it's near impossible for me to talk about without getting giddy and trying to contact my friends to come play. You and up to 3 friends work in a kitchen environment, filling orders in the allotted time in your quest to become a highly skilled Chef. Overcooked! is a very easy game to pick up, but incredibly hard to master, requiring you and your team to communicate and develop efficient plans to tackle the flood of various food orders coming your way. Kitchens range from pirate ships, ice bergs, space stations and even fiery volcanoes. It's hilarious, it's charming and last but not least it's the first step in being able to communicate telepathically. Trust me. Read my full review here! Final Form describes Jamestown as a "neo-classical top down shooter for up to four players set on 17th century British Colonial Mars." It's a "hellshooter" in genre, but a lot more tame, allowing it to be very accessible. There are a variety of ships, levels and bosses to work with as you combat your way through space oppression with your friends. Jamestown is incredibly unique and always fun to return to, it's a personal favorite of mine and Slooze! 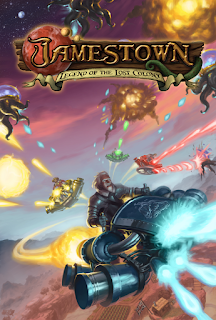 We have Jamestown available right here at LAN Mob, come give it a shot! I know, I know, technically an entire series is cheating but you're not allowed to tell me what to do! 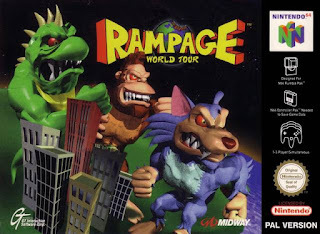 Not only is Rampage especially nostalgic for me and Slooze, these games really stand the test of time. Focused around environmental destruction, since 1986 Rampage has had players hastily punching, crushing, throwing and eating everything in their path. Even the latest entry in the series, "Rampage: Total Destruction" in 2006 does not disappoint. 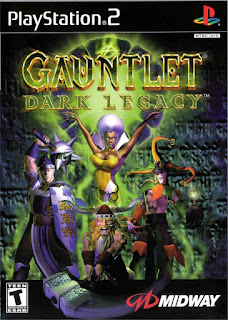 An entry in the infamous Gauntlet series, Dark Legacy is a personal favorite of almost every employee here at LAN Mob. 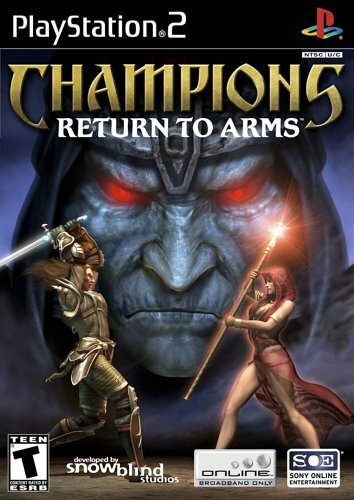 We've spent countless hours hacking and slashing our way through the realms in order to defeat Garm. 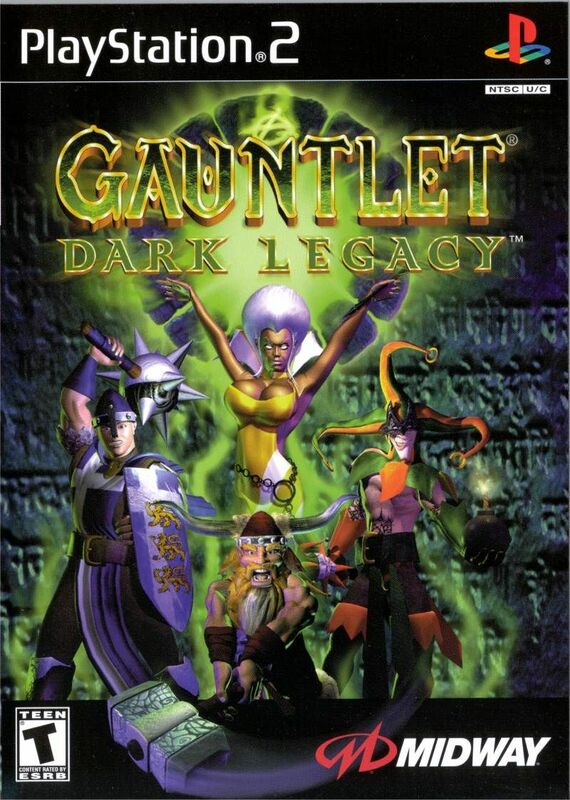 Filled to the brim with secrets to discover, characters to unlock and bosses to fight, Gauntlet Dark Legacy is a definitive co-op RPG title. 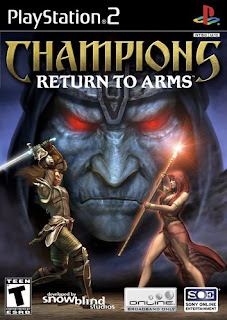 Speaking of definitive co-op RPG titles, Champions: Return to Arms falls right into the category. A lengthy quest no doubt, but if you and your friends are willing to put the time in, Champions is a rewarding experience. Similar to Diablo and Baldur's Gate, this title weaves a tale of epic proportions, with a lot of classes, skills and gear to work with. I highly recommend Diablo fans hunt this game down, despite finding this title being a lengthy quest in itself. 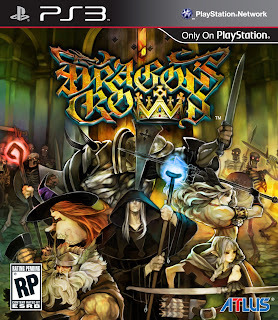 Often compared to games like Golden Axe, Dragon's Crown is a side-scrolling beat em' up RPG. You can't talk about Dragon's Crown without mentioning it's marvelous art style. Vanillaware is famous for their water color esque art and Dragon's Crown is no different. Dragon's Crown is dripping with personality and, for lack of better words, things to just LOOK at. Multiple classes, level routes and even a fun cooking mini-game, make for an expansive and memorable adventure. Also the soundtrack is spot-on. 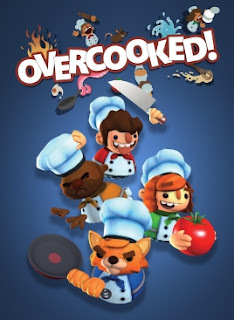 Similar to Overcooked! Helldivers requires some next level communication and teamwork. 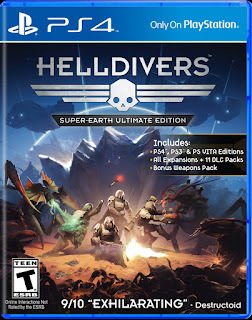 Helldivers is a top down twin-stick hell shooter that takes heavy inspiration from military science fiction. The indie title from the makers of Magica has a lot of unique aspects to it, like Konami Code Esque inputs to call for command drops/equipment, friendly fire and an option online territory war. Players can unlock new gear as they travel the planets in various galaxies, combating alien scum to ensure Earth is protected from extraterrestrial invaders. Helldivers is a blend of a lot of things to create something new for couch co-op. 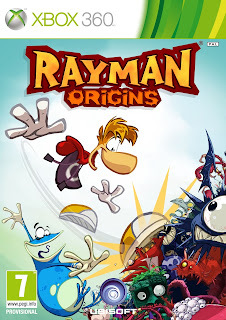 I'm a huge fan of Rayman, I have been for as long as I can remember. Rayman 2 was such a memorable experience for me and Globox is one of my favorite characters of all time. (Look at him!) That being said, when Ubisoft showcased the newest installment to the series at E3 back in 2010 I was skeptical, despite how amusing it looked. I'm glad to say that Rayman Origins didn't disappoint in the least and has become one of my favorite party games of all time. My friends and I have revisited this game multiple times, and every time it's a riot. The game is a perfect blend of casual nonsense and expert platforming. 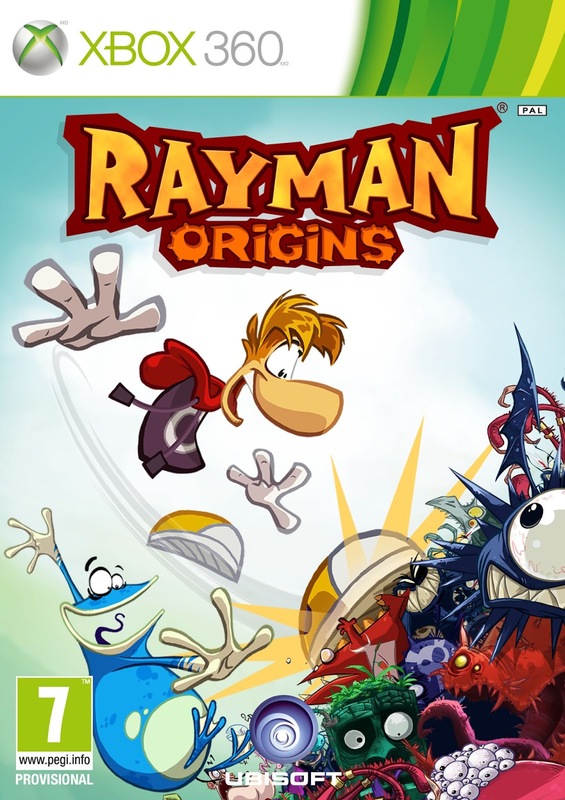 Amazing soundtrack, pleasant visuals and a stellar soundtrack, Rayman Origins is light-hearted enough to be fun for everyone but sadistic enough to let me punch my friends off cliffs. What more can you ask for in a couch co-op game? 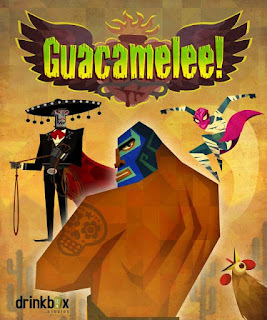 Guacamelee is an action platforming game that draws a lot of inspiration from Mexican culture and folklore. Players are tasked with rescuing El Presidente's daughter from the antagonist Carlos by jumping, punching throwing, squeezing, uppercutting and headbutting through Mexico. Guacamelee is good fun, it's simple to play, has a decent enough story line, combat is thrilling and you get to be a luchador. Everybody wants to be a luchador deep down. Come on now, you had to expect this one. Castle Crashers is nothing short of legendary in the world of couch co-op games. 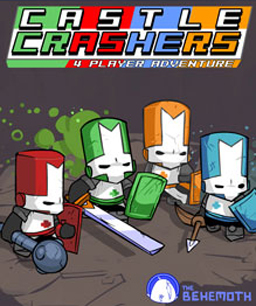 Castle Crashers is a comical 2D beat em' up that got a ton of credit for being easy to pick up. It's a solid adventure for any age, making it perfect for families, friends and parties. Players control four knights, tasked with rescuing the king's four daughters from an evil wizard. You hack and slash through a medieval world filled with unique enemies, and with a ton of characters to unlock and level up, Castle Crashers has an insane amount of replay-ability. I've spent many a night playing through Castle Crashers with various friends and it never disappoints. We have the golden standard of co-op right in the shop, so come on by and try it out if you haven't yet! People tend to say that couch co-ops are dying out, and while that may be true, there's a plethora of legendary titles out there already. This is just 10 of our favorites but there's so many more out there. Chariot, Charlie Murder, Alienation and Enter the Gungeon are just a few that come to mind. What's your favorite couch co-op game? Got any couch co-op stories? Share below! What about Lovers in A Dangerous Space Time? Great Game! I've never personally played it but I'll definitely check it out! Thanks for the suggestion! I have heard of Crawl! I'll definitely check it out, I'm always looking for more co-op games. Thanks!